Some readers may be aware that I’m not only the lead designer here at Dinofarm Games, but I also write for a few other sites, most notably Gamasutra. What you might not have known is that I am now an actual author of an actual book! Huzzah! 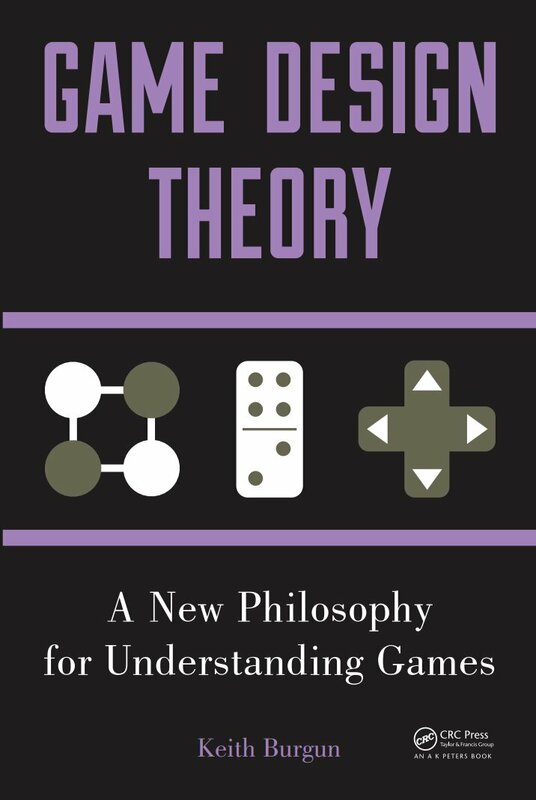 My first book, Game Design Theory: A New Philosophy for Understanding Games, just went up and is available for pre-order from Amazon.com. There’s no e-book version yet, so if you want one definitely click on the button on the left that says “I’d like to read this book on the Kindle”. Anyhow, this book is the culmination of about a decade of work in developing and honing my own philosophy of what games are, how they work, and how we can do them better. As I talked about on last week’s podcast, I think that the current status of games – particularly digital games – is extremely unhealthy. I think we’re extremely misguided on a few key fundamental ideas. Because of this, my book seeks to break down the current understanding and then rebuild a new possible future. I hope that designers and players alike will get something out of it, even if they don’t agree. And by the way, did I mention that it has a foreword written by Dr. Reiner Knizia? I consider him to be probably the world’s greatest game designer, so that’s pretty great! When you do the e-book, can you put it on google play store as well. £25 for 188 pages? That’s taking the piss, mate. I didn’t price it. I also wish it was less, but this is determined by the publisher. It will become cheaper as time goes on. Sorry! I didn’t find the Kindle button on that page, but I’d definitely like an ebook of this. I’d love to get it but the price is too steep for me! It’s on the left, just under the image. What kind of format is the thing? Paperback or hardback or oversized paperback? To be perfectly honest, I don’t know. It is paperback, I know that much, but I’m not sure about the size. I’ll see if I can find out for you. A chance on iBook Store? Working on it. If you want one, click on the link underneath the book’s cover that says you want a digital copy.